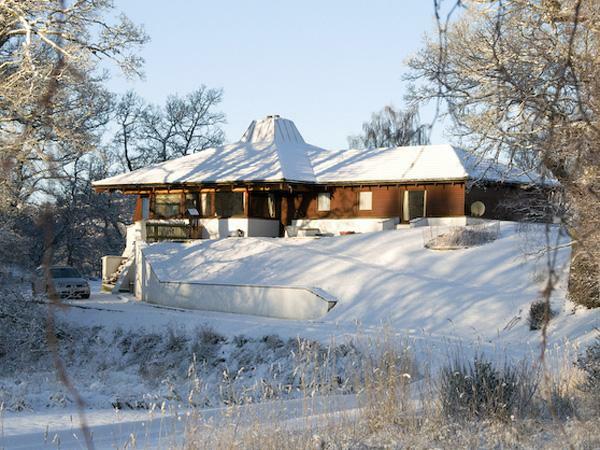 Foresters Lodge is located in a sheltered inlet just a short distance away from romantic and historic Loch Shiel overlooking the Polloch river which meanders through the glen from Loch Doilet. 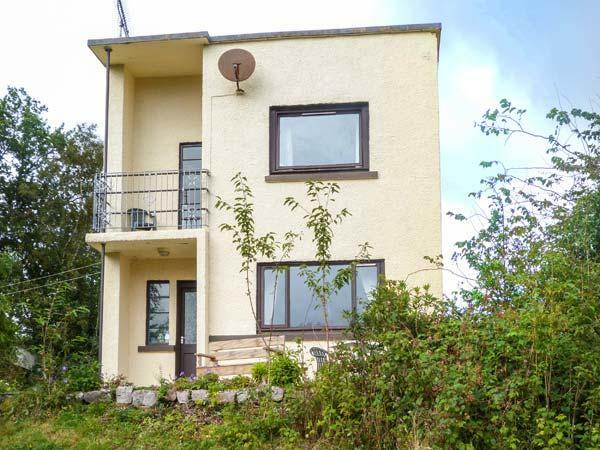 The Lodge is situated in the grounds of our Croft which was also formerly a foresters bothy and game keepers croft house.The lodge has uninterrupted views south to Beinn Resipol,east to Glenhurich Forest and north and west to the mountains. The Lodge has an open plan living room and kitchen/ diner with well equipped modern kitchen including dishwasher,electric oven and hob,fridge with freezer compartment,microwave and coffee machine,with dining table perfectly placed to take advantage of the sunrise. The lounge has a comfortable 3 seater sofa and arm chair with flatscreen TV, DVD player CD player ,ipod wifi speaker. The Lodge has a large selection of DVDs and books on Scotland and wildlife, Games for the less sunny days. Foresters Lodge is ideally located to take full advantage of the various activities in the immediate vicinity including walking,kayaking and fishing on Loch Shiel and Loch Doilet.The area of Glenhurich offers cycling on some of the best undiscovered forestry tracks in the Highlands including the route alongside Loch Shiel to Glenfinnan.This route should definitely be on every cyclists tick list. The Lodge offers Luxury accommodation with spacious bedroom with kingsize bed and luxury egyptian cotton sheets, Duvet and Towels. The en-suite bathroom has a corner jacuzzi bath large enough for two,a separate shower cubicle and the added luxury of a traditional steam sauna. The lounge has patio doors opening out onto the large south facing veranda with enviable uninterrupted views over the river and Beinn Resipol,with table and chairs and smoker BBQ. There is a lower graveled area with bench alongside the wildlife feeding station. Foresters Lodge is perfect for those wishing to get away from it all,and retreat to a wildlife wilderness to relax and reconnect. Spent a week at this fabulous lodge. So beautiful, peaceful and uplifting. The lodge itself was immaculate with everything you could need to make your stay blissful, with extra little touches such as coffee/tea facilities on hand in the bedroom, individual shampoos and bathwash, gifts for our arrival and oh the sauna! There is even food available for late arrivals, something I have never seen before in holiday accomodation, extremely thoughtful. I have stayed in many places in Scotland but this far exceeds anywhere else. The surroundings are glorious and if you want peace, calmness and beauty look no further. The owners Mark and Amy were so helpful but totally unobtrusive so you hardly knew they were there. Plenty of walks close by and lots to see and do around this spectacular area. I fell in love with the place as soon as we arrived and was extremely sad to leave. The pine martens visiting every night was the icing on the cake! A beautiful, well thought out, warm, cosy lodge, with a beautiful bed so I slept like a log all week, it is definately top of my list now. Thank you Mark and Amy. Beautiful peaceful place to stay, amy and mark had thought of every detail everything you need is there and more. Great walks for the dog from the lodge door and the sauna and jacuzzi bath were brilliant for relaxing. Visits from the pine Martin made great viewing in the evening. We have just returned from the lodge having spent our second Christmas there. It is absolutely fantastic and that's not just Mark's Mince Pies!! The lodge has everything you possibly would need for your stay and more. Mark and Amy (not forgetting Alfie Jnr) go out of their way to make sure your stay is extra special, whether this is their wonderful welcome basket or their local knowledge of where to walk or what to see. The location is so isolated and beautiful yet Strontian is only 20 minutes away. Thank you. Having just returned we have booked for another week in May, which won't come soon enough. 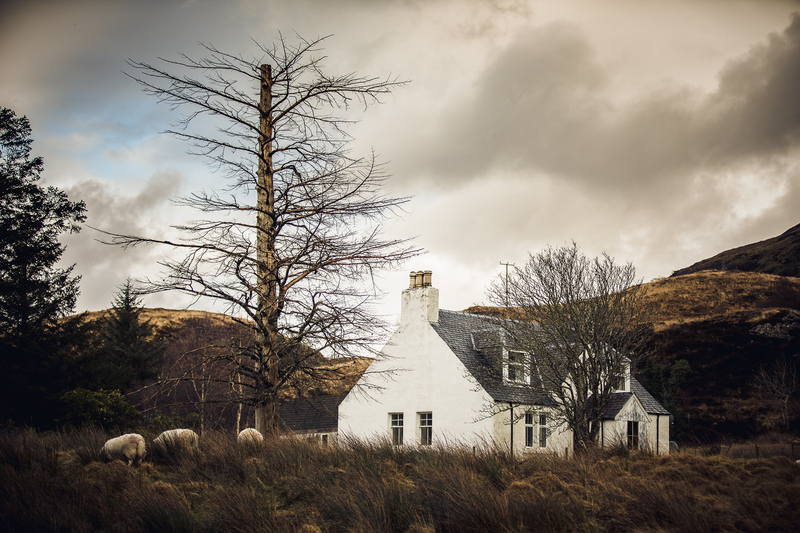 This place was an absolute gem of a find, not only does it offer the beauty and wilderness of this outstanding part of Scotland to explore but has a truly cosy and pampering feel to it. The attention to detail that mark and Amy have put into it along with personal touches make this cottage a home away from home with added luxury. The sauna and jacuzzi were perfect to unwind in after spending the day hiking the various and plentiful walks. Mark also hires mountain bikes out from here at a sensible rate and provides the helmets and locks also. During our stay my wife and I saw deer, eagles and even a pine marten that came up to the veranda of the cabin. If you want a romantic, unforgettable getaway in a beautiful part of the highlands with lots to see and do but with privacy and seclusion then this place is a must. Also a special note of thanks to Mark and Amy for their invaluable information on the surrounding area and for making us feel welcome from the moment we arrived. 5 stars. Hosts were very helpful throughout our stay including arranging bike hire. They respected our privacy but were always on hand if needed. 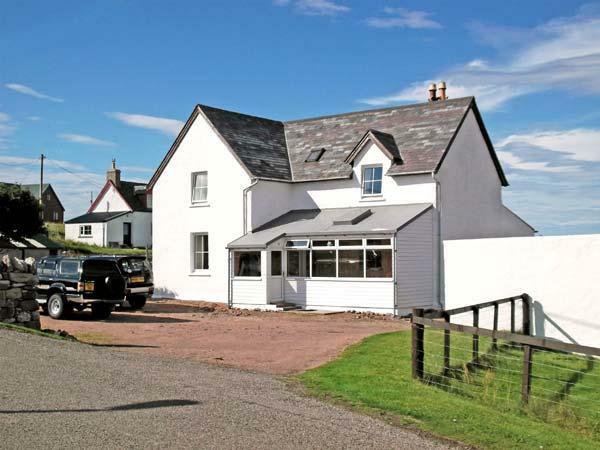 Warm, well equipped property with added treats on arrival. Fantastic walks from the door in a stunning peaceful setting. 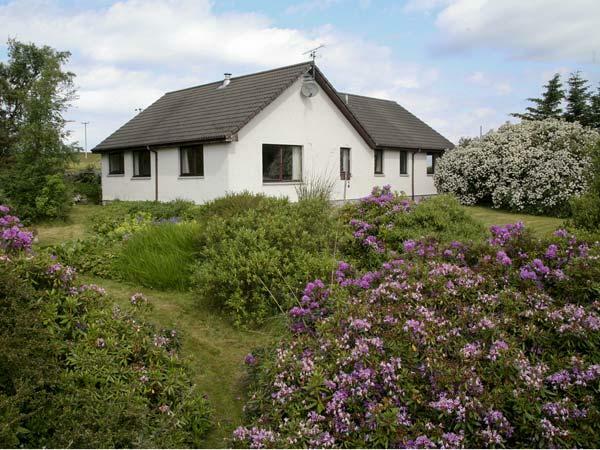 If you love nature, wildlife and a quiet holiday then Foresters lodge is ideal. Make up of party: Perfect get away for any couple with dogs especially newly weds like ourselves. Can honestly say our stay at Foresters Lodge was fantastic.The accommodation was excellent, spotlessly clean and really well equipped.Mark and Amy had thought of everything from leaving maps,information leaflets to putting fresh flowers around the lodge. They made us feel really welcome and were more than happy to tell us all about the area recommending things to do and places to visit. It is such a beautiful area and I would fully recommend it to anyone wanting total peace and tranquility. Just as we thought it couldn't get any better, we had a guest appearance from two Pine Martens, an adult and its Kit. What a treat! We don't usually return to the same place twice, but this is an exception. Thank you so much Mark and Amy, can't wait to return. We found the Lodge by happy accident and after a fabulous week, I think we were meant to. What a magnficent spot, one of the last wilderness areas in Scotland and stunningly beautiful. Perfect peace and quiet. Mark and Amy have created a wonderfully comfortable and luxurious cabin,spotlessly clean, every comfort catered for, we wanted for nothing. Warm and friendly welcome and a wealth of knowledge, freely shared, about the locale. We had a couple of day trips out in the car but were perfectly content to stay "home" and explore on foot or by cycle. Even on the two rainy days, we were more than comfortable and made use of the sauna ( though not the jacuzzi bath) Wildlife enthusiasts paradise...we went nowhere without binoculars. Didn't need them for the pine marten though as it was only four feet away! We are planning our next trip already, can't wait to come again. WHAT A GEM. Couldn't have wished for a nicer place to have a weeks break, Lovely and quiet, the lodge was sparkly clean, with everything you needed and more. The best of all places to relax and unwind. It is true what they say that you book your next holiday within 12 hours of one finishing, so today we have been trying to figure out when we can next get to Foresters Lodge. We were looking for a complete get away where Duncan could paint landscapes and I could walk and get some much needed escape from life. Well we had that and so much more at Foresters Lodge. We left totally refreshed and ready to face the next few weeks, we ruined it slightly by a night clubbing in Glasgow and a journey back to wales through the snow. Peaceful beyond belief, comfortable and compact with wildlife literally at the door, the Pine Martin got more daring as the week went on. 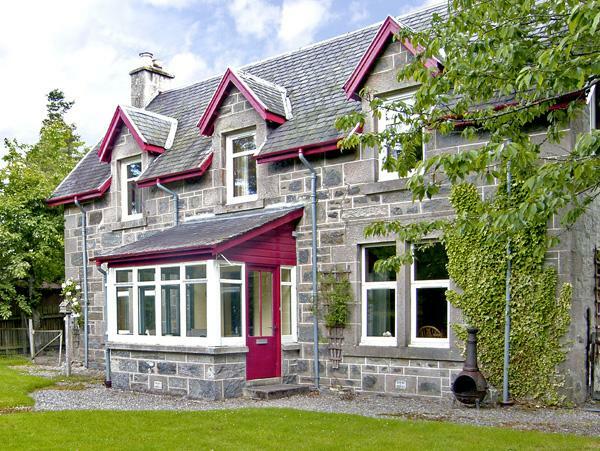 If you want a complete Highland get away then look no further. Arthur the dog had an amazing time too! Make up of party: Couple and the dog. 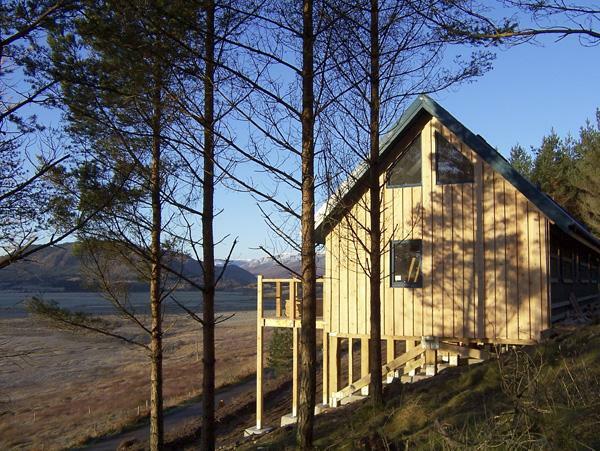 We have just spent a week in the idyllic Foresters Lodge, nestled in the remote and peaceful Polloch. From the onset Mark was incredible helpful and friendly and made us feel right at home. The lodge is beautiful with stunning views from every window and the add delights of the jacuzzi bath and sauna. Both were highly valuable after a day in the Scottish rain! The location is incredible - away from everyone and everything. The lodge is really well equipped with a great kitchen and a good variety of books and films for those very rainy days! If you are wanting to explore a beautiful part of the world, come very close to nature (we saw the resident pine Martin and 4 eagles) and relax and switch off this is the place for you! A perfect mix of comfort, relaxation and wilderness!! A lovely, recently built lodge with the perfect amount of space for two. It's nicely furnished and the kitchen and bathroom in particular were spotless on arrival. The kitchen contained all the essentials, including dishwasher tablets! The jacuzzi bath and sauna were a particular highlight - perfect after a day out walking. Although there's no TV signal there is a good selection of DVDs and board games. There is wifi but we found the speed would only allow slow web browsing at best (so no Netflix!) but this is to be expected with such a beautifully remote location! Mark and Amy are incredibly friendly, even offering to drive us to the nearby restaurant so we could both drink (for a small fee). They left a personal touch with a lovely welcome card and treats wishing us well on our honeymoon. They also give lots of information on what to do in the area which was very helpful. Would highly recommend Foresters Lodge and will definitely return in the future. Lovely place to stay, well away from it all in a very quiet and peaceful location. Felt very remote, which it was - no tv, phone signal, WiFi! For an IT person like me it was a real challenge at first, but I loved the quiet, and after a couple of days I really chilled out. I read loads. 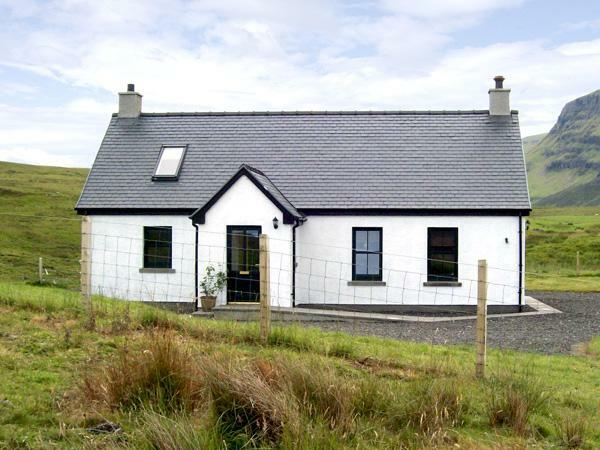 Perfect place for a couple and a dog (not ideal for kids and too small - only 1 double bedroom). The lodge is very well equipped, with sauna, large spa bath, shower etc. There is a tv and DVD player with a good movie selection. Owners are very friendly and helpful (they live in a stone cottage next door) but left us alone to enjoy the tranquillity. We took our dog Jet and he loved it too. Only issue for me was being a 20 minute drive over the mountain to get to the nearest shop or pub (in Strontian) but as long as you take all the stuff you need, it's not a big problem. Plenty to do in the area, just not enough time to it all. Ardnamurchan distillery a must. Make up of party: My wife and I. Fantastic holiday! Super location, very friendly, great lodge, very clean. The owners had thought of all the small details to make it feel like home. Lots of wildlife - feeding station in front of the lodge & a seal hide on a local loch. Lots of good walks, & peace & quiet. Fully recommend! 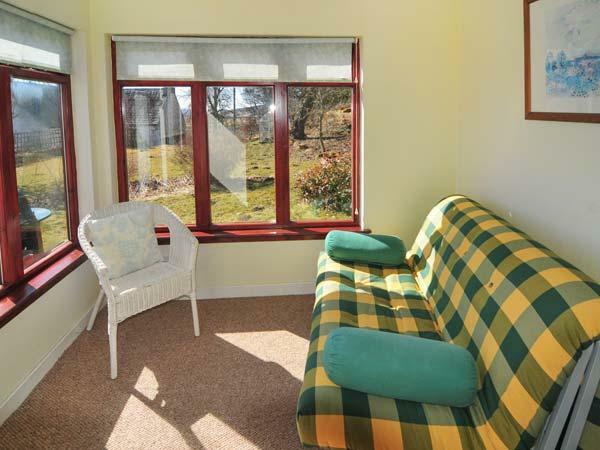 This is a beautiful lodge in a tranquil setting, ideal for nature lovers. Accommodation is perfect for a couple. We stayed for a week to celebrate our silver anniversary and could not have been happier with our choice. Mark and Amy were friendly and welcoming, while also respecting guests’ privacy. There are many lovely walks around Loch Shiel and Loch Doilart, and mountain bikes can be hired at the lodge. As others have noted, there’s no TV reception, and you might need to drive to Stontian (8 miles) for mobile signal and fast wifi. No problem if you’re prepared though. We loved Forester’s Lodge, and would recommend it highly.